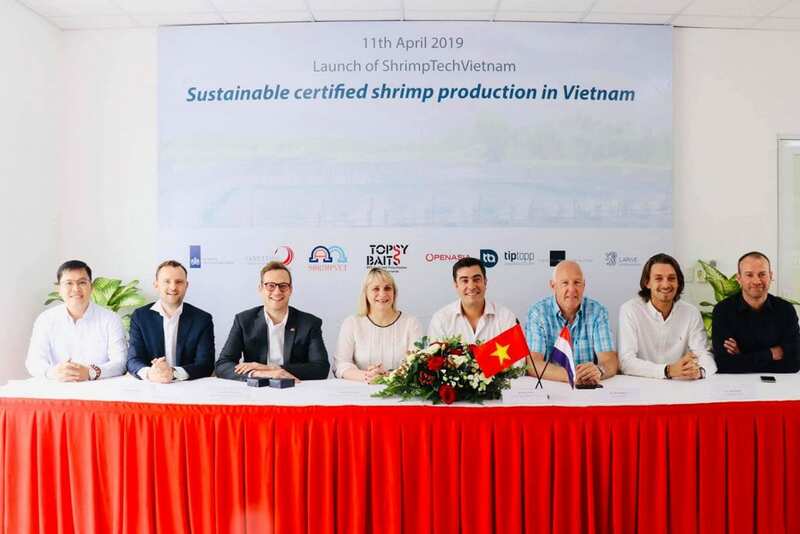 On March 11 April 2019, a new Impact Cluster collaboration ShrimpTechVietnam was signed by Marjolijn Sonnema, Director-General Agriculture of the Ministry of Agriculture, Nature and Food Quality and a consortium of Dutch companies and knowledge institute which see a specific opportunity in the shrimp sector in Vietnam. Vietnam is the world’s 2nd largest exporter of shrimp. 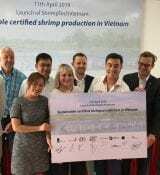 According to the Vietnam Association of Seafood Exporters and Producers (Vasep), the Netherlands is the 2nd largest importer of Vietnamese shrimp within the EU. 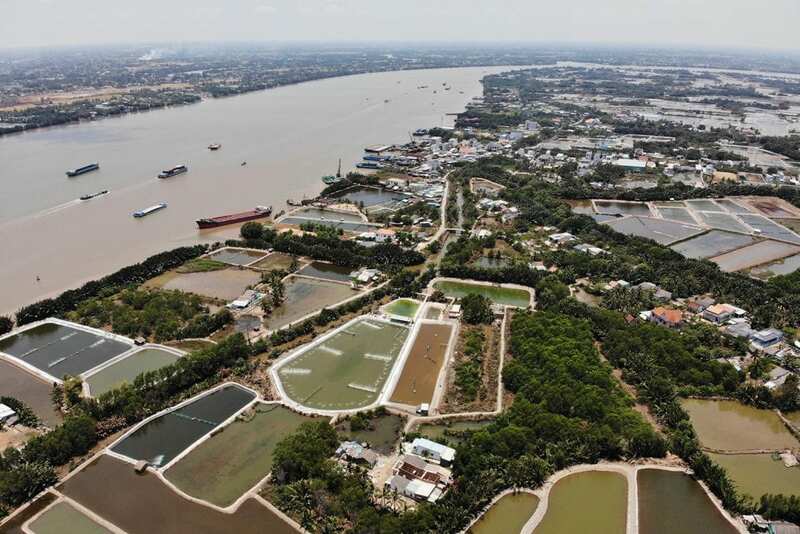 In 2016, in the Mekong Delta, giant tiger shrimp farming area accounted for 94.3% and pacific white shrimp farming area accounted for 75.8% of total shrimp farming area of the whole country. Vietnam is the leading producer of black tiger shrimp in the world with a production of 300,000 tons per year. 1. There is a high occurrence of diseases and usage of antibiotics due to high intensive shrimp farming without proper water treatment, land management and water filtration. 3. The quality of the shrimp also affects the export value of Vietnamese shrimp. 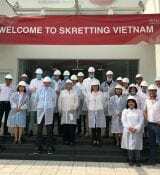 Several shipments of Vietnamese shrimp have been denied in different countries (including the Netherlands) due to the presence of high levels of antibiotics. 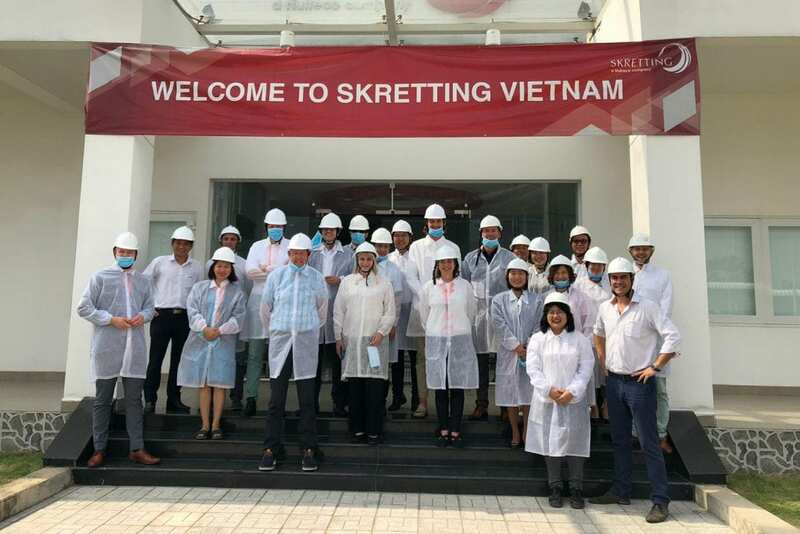 This results in more strict inspection controls which encourages Vietnamese shrimp producers and exporters to further export the product and divert to other export destinations that offer lower prices. 4. The current way of high intensive shrimp cultivation is also considerably causing damage to the land and water in the area. 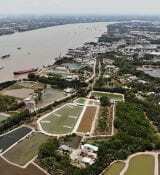 Especially in the Mekong Delta, which is where most of the shrimp farms are located. Over the past decades, more than half of Vietnam’s natural mangrove forests have been cleared to accommodate shrimp ponds. 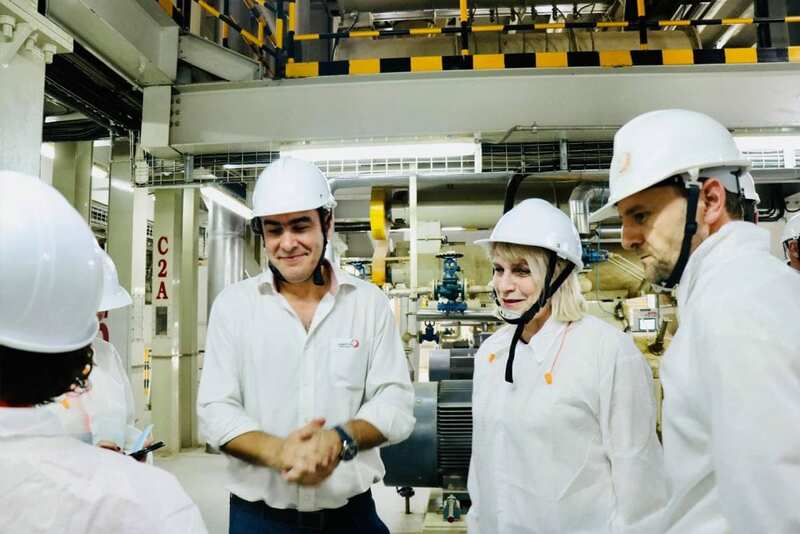 Furthermore, intensive monocultures, bad farming practices and inappropriate water infrastructure causes water quality problems and high risks of diseases as chemicals and antibiotics pollute the environment. At the root of all the problems lies the current way of unsustainable and damaging high intensive shrimp farming practices. Shrimp farmers have little to no access to best sustainable shrimp farming practices. 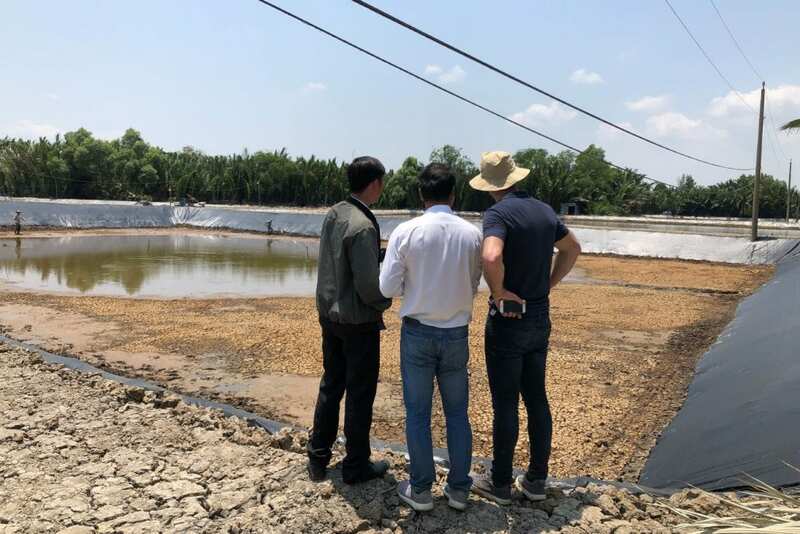 Furthermore, farmers are not aware of the current issues that are underlying in the bigger picture with regards to the market developments and water and land management (especially in the Mekong Delta). The consortium ‘ShrimpTechVietnam’ consists of a group of Dutch companies and knowledge institute which see a specific opportunity in the shrimp sector in Vietnam and feel that jointly they can best contribute to the local private sector development. 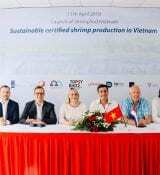 The impact cluster will contribute to the improvement of the local business climate and the development of the shrimp farming sector in Vietnam, increased trade & investment in the sector and showcase proven solutions. Topsy Baits is the biggest producer of live bait maturation feed for aquaculture industries. Shrimpvet is an expert company in diagnostic services, health status of shrimp, grow-out, broodstock and monitoring services. 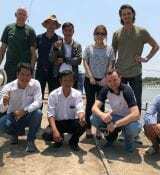 TipTopp Aquaculture B.V. has extensive experience in designing, engineering and maintaining sustainable ecological shrimp cultivation techniques while increasing the productivity. 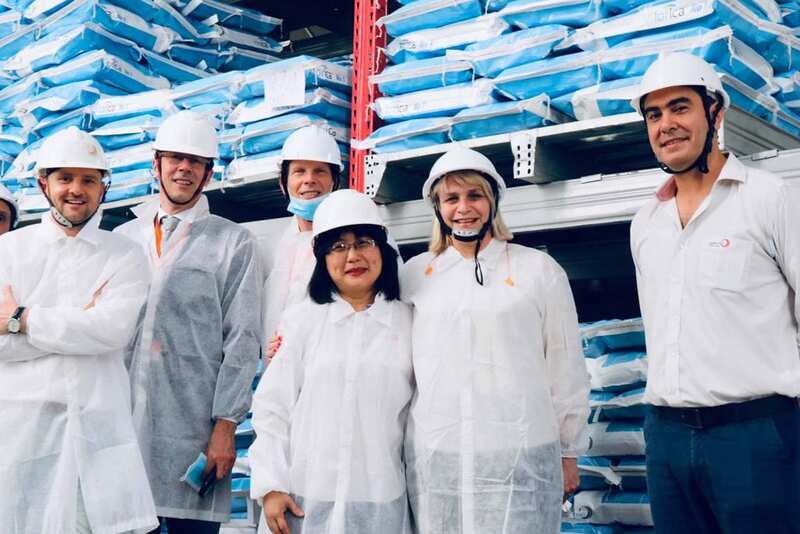 Sustainable Aquaculture Solutions is specialized in both shrimp health and disease prevention management as well as guidance and auditing for ascertaining international quality standards, providing the shrimp producers support on closing the gap with market requirements. Nutreco (Skretting), highly experienced with regards to production of feed for aquaculture. 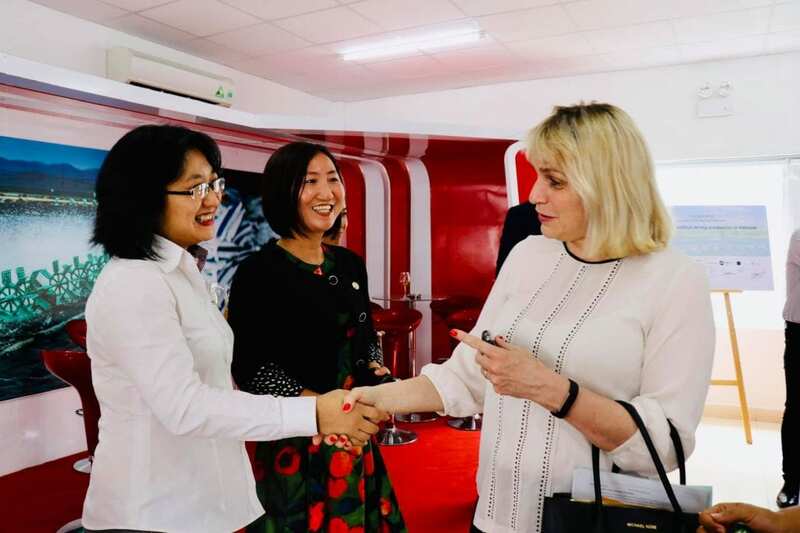 Larive International and Openasia (Vietnam) will take on the role of general project management (both local and international) and be the liaison between the parties as well as the Dutch Government. 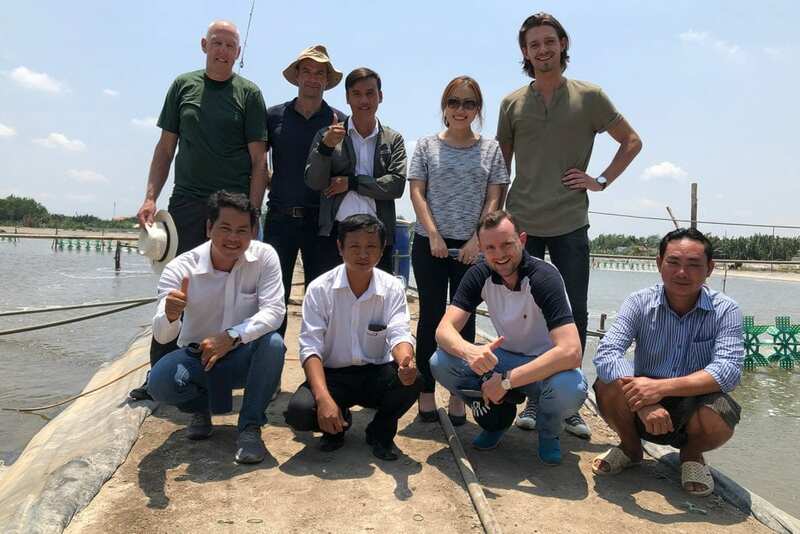 This project is being developed on the request of the Royal Dutch Embassy in Hanoi and in close cooperation with RVO, the Dutch Enterprise Agency based in the Hague. The duration of the project is 3 years (2018 – 2020). 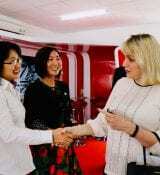 The Impact cluster is looking forward to working together on the following activities in Vietnam. 1. Develop the value chain: stimulate the development of the shrimp aquaculture sector. 2. Demonstrate best practice: test, validate and demonstrate effective farming techniques. 3. 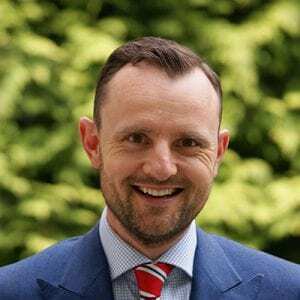 Transfer expertise: best practices, protocols and training programs. 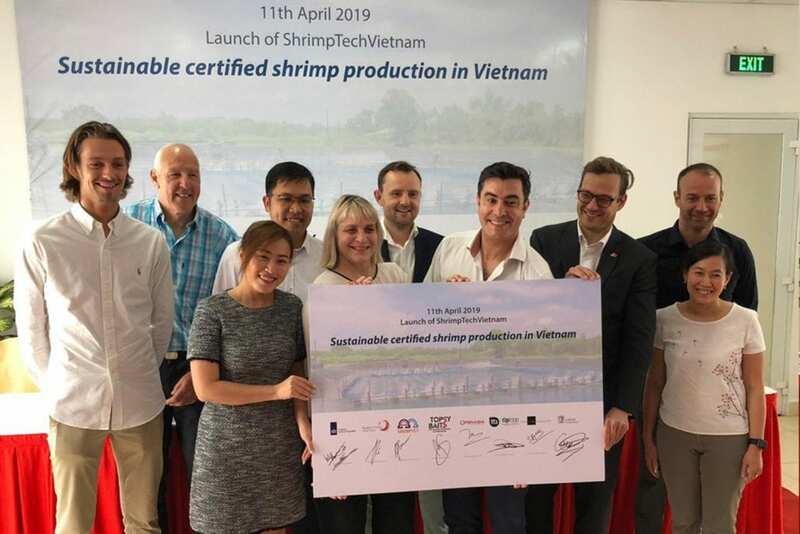 ShrimpTechVietnam will contribute to the improvement of the local business climate and the development of the shrimp farming sector in Vietnam, increased trade & investment in the sector and showcase proven solutions. The consortium is still open for participants. For more info, please contact Wouter van Vliet.